It's Not Work, It's Gardening! : How much winter sun? As you may know, this summer I finally got my cactus beds planted and even made them look better with a dry-stacked stone wall. I'm so happy to have these in the ground now, as last year they spent the winter on my deck in pots. I had a few problems with pads rotting at the end of winter, but only those that were in contact with the soil -- the "child" pads up in the air were all fine. I expect that the soil in the pots just got too wet, something I'm hoping to avoid this year. I do have some doubts about my cactus beds, where I've mixed a good deal of pea gravel and sand into the soil though. I'm still not certain if the soil is well-draining enough, but I have another concern too: Will these plants get enough light during the winter? Although this area gets full, blazing sun during the summer, it's in shade for most of the day in the winter, in the shadow of my neighbor's house. So although they get reflected light on sunny days and may get some sunlight in the early morning and late afternoon, they won't catch the strongest rays of the day. Does this matter? 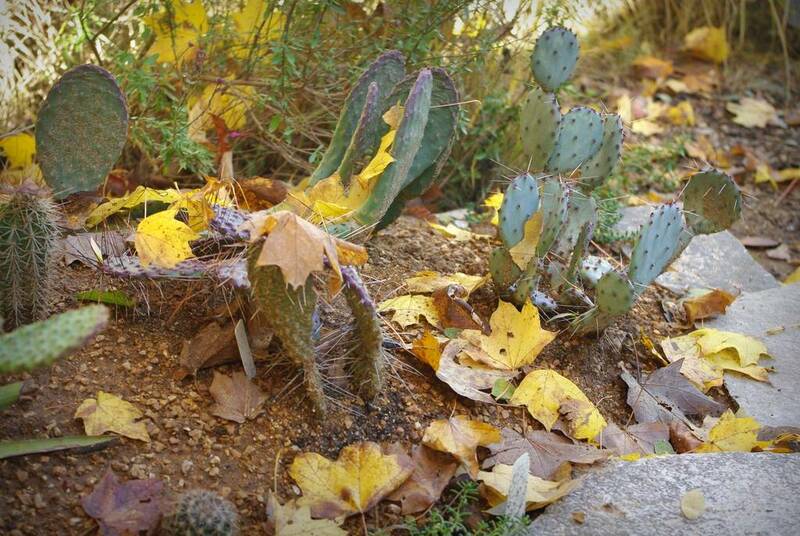 Do cactus and other succulents like Agaves need sunlight in the winter? This will ensure that they don't get very wet -- they'll probably stay completely dry unless I water them -- but it means that they'll get very little light too. Will that be a problem? 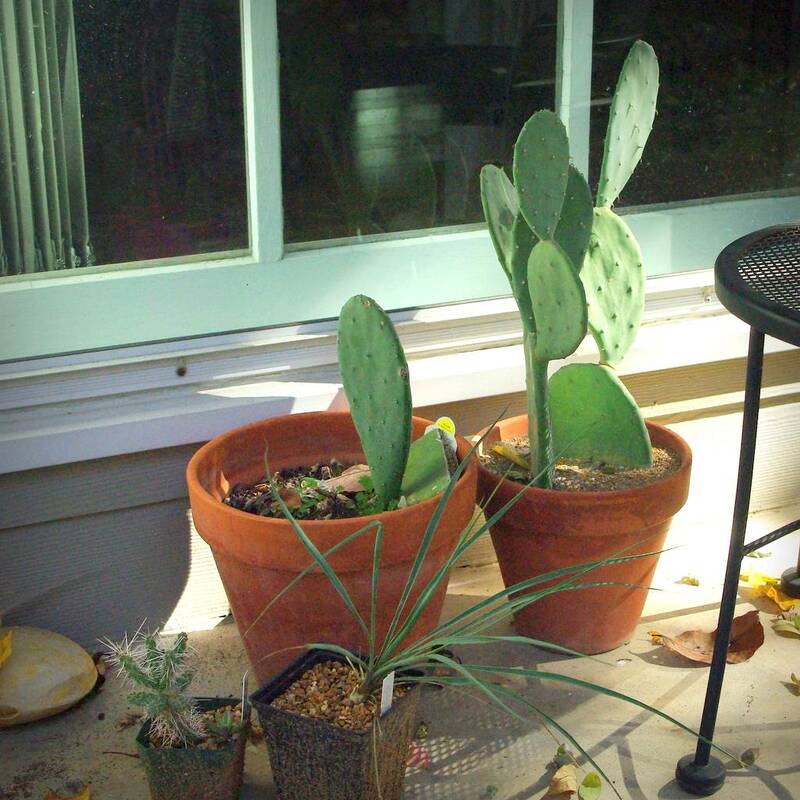 It's a couple of Opuntia, a cholla (Cylindropuntia whipplei), and my little Yucca rostrata -- the cholla and yucca will probably get repotted this weekend. How much light do they need in winter? Anybody with some experience or thoughts on this, please comment and hopefully ease my mind! 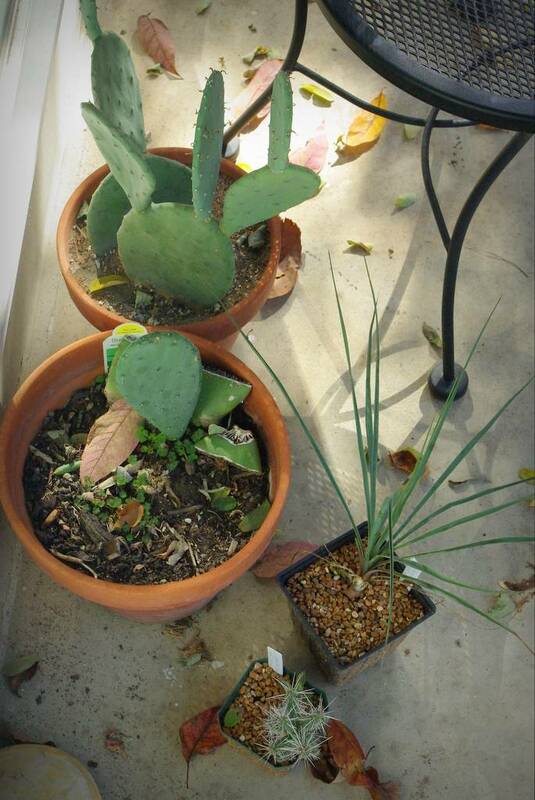 I have a paddle cactus of my own in a pot that needs to get into the ground but I'm afraid to touch it - when I put it in the pot it didn't exactly end well for me! My unscientific answer is something along the lines of "more would be better but what they've got might be enough." 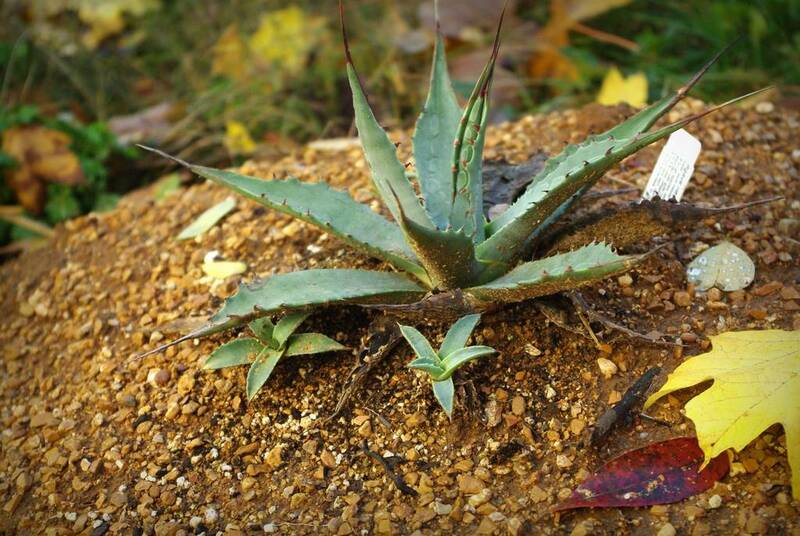 My in-ground agaves in the back garden don't get as much sun in the winter as I would like them to, because of the lower sun angle as well as the perpetually grey skies. However with the leaves off my magnolia and the neighbors maple they get a little more light at different times of the day. It's all just a big experiment! Watch and learn. After all what are you going to do, dig them all up? Btw I LOVE the second photo, beautiful! I have a thornless prickly pear growing in far more shade than sun that I've had for years, so don't think that will be a problem for you, Alan. 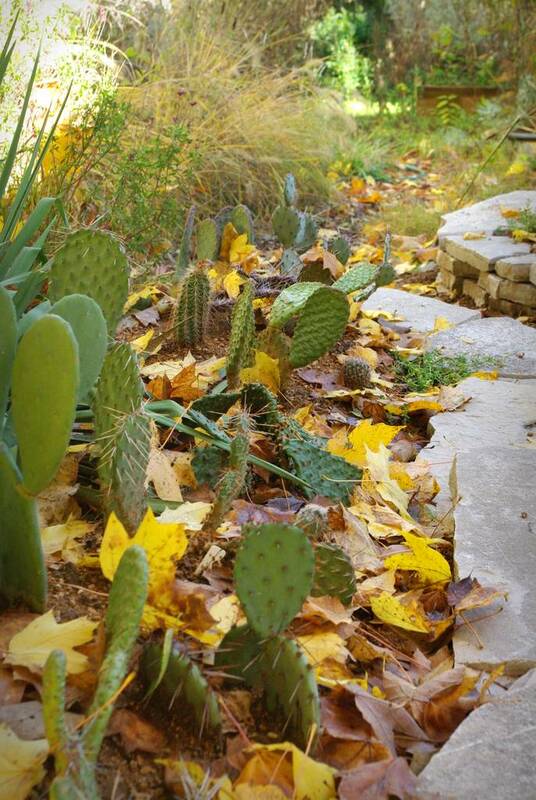 In ground, the shaded ones are not aggressively spreading, putting on only one or two new pads per year, and you won't be having any prickly pear margaritas or jelly from the shaded ones, but other than that, they should be fine in mostly high shade. Lisa: I hear you. Planting all of these was not entirely fun. danger: good point -- not going to dig them up, so I'll see what happens. I like to have some idea of what to expect though. sandy: to be clear, these get plenty of sun during the growing season. They'll only be in shade in winter. Alan, I was the one not clear. 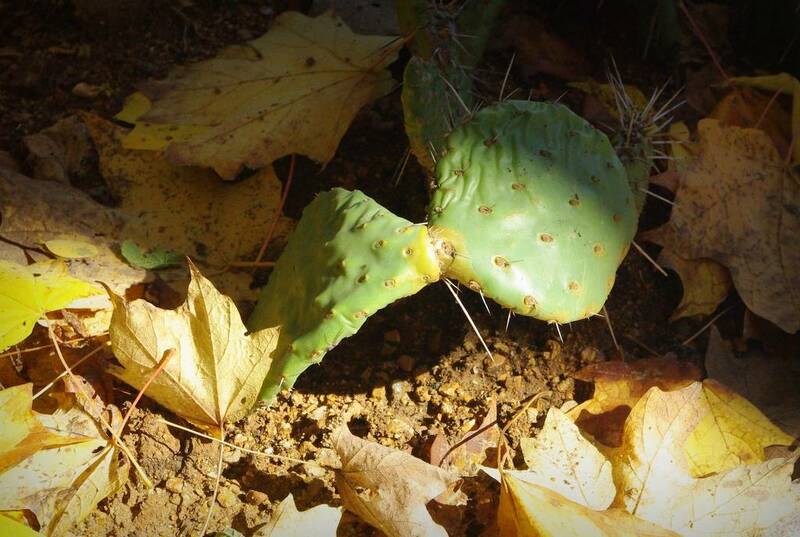 My thornless prickly pear is in mostly shade year-round, not just winter months. The only price I pay is no flower or fruit. So yours should suffer no ill effects at all in only winter high shade. I don't think you'll have a problem. They're not going to do much growing in the winter anyway.